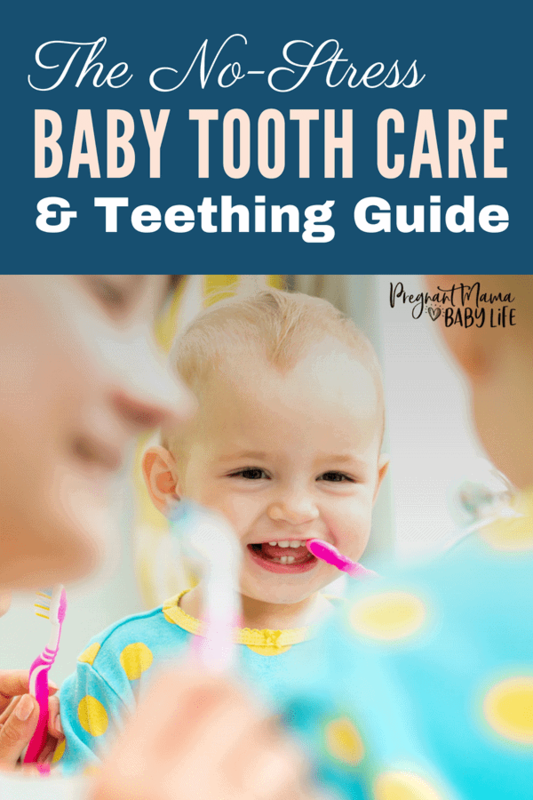 Baby tooth care is one of those things that often get overlooked. With so much changes going on in babies first year and so many new developments its hard to keep track of when you are supposed to be doing what. After all, baby teeth are brand new. They can’t need that much care… right? How much plaque can they possibly have. Ha! This article wouldn’t exist if that were true. But seriously, what are you suppose to do with baby’s teeth? 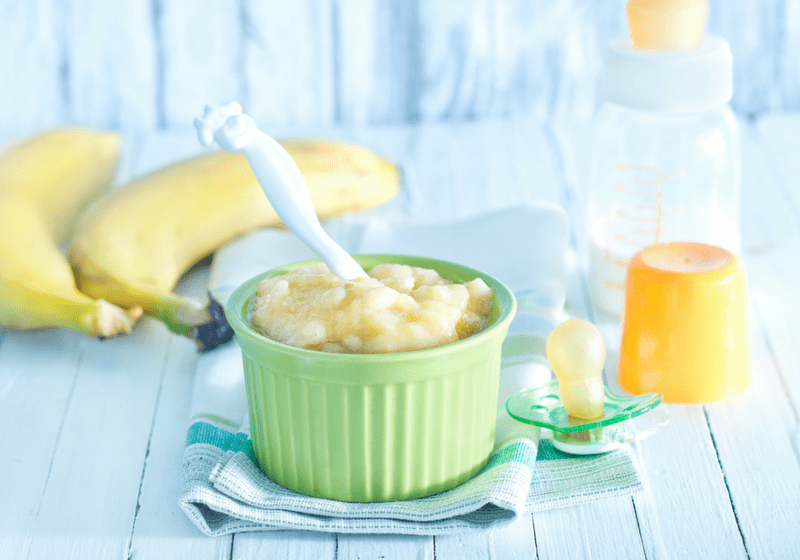 What can you do for your teething baby? A child’s teeth require a lot of care because the health of their first set of teeth will affect the health of their adult teeth later in life. The first tooth becomes visible around the age of six months old. Getting all of their teeth could take between a year or two after the first tooth surfaces. 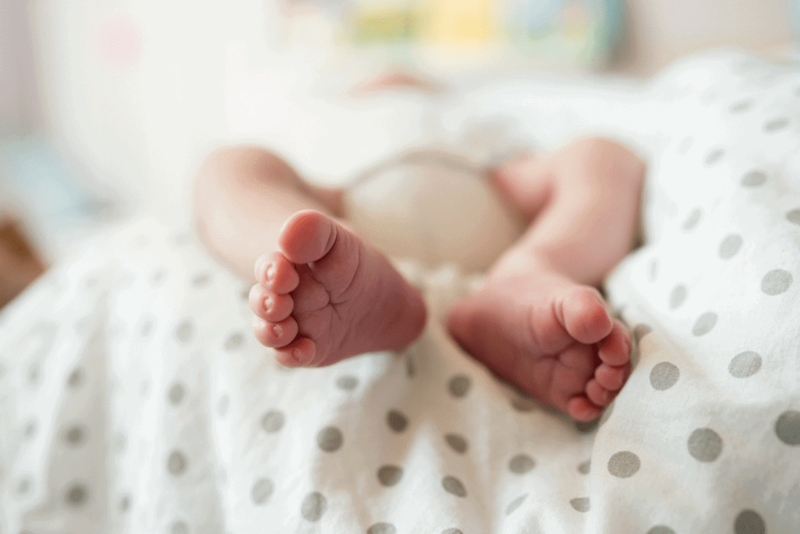 The time depends completely on the child and varies from baby to baby. When your baby begins getting their first teeth, they may experience some pain. If your baby seems irritable and anxious it could mean they are teething. 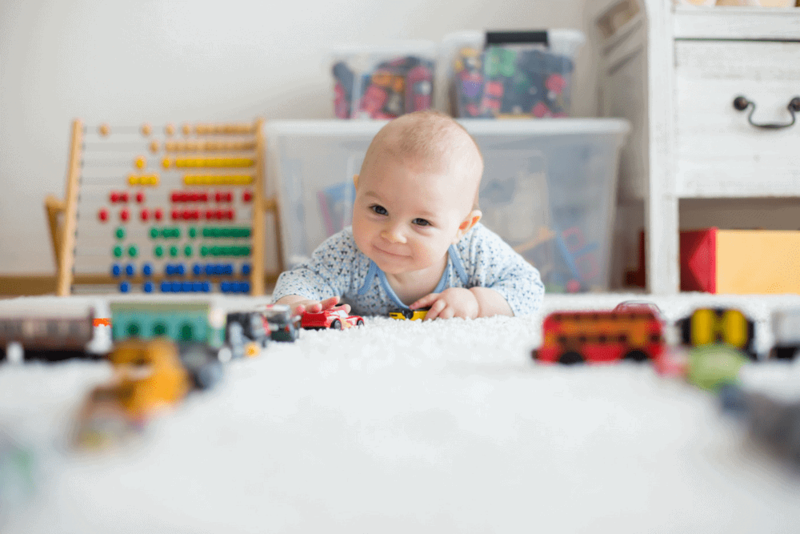 There are lots of things you can do to help your baby’s teething pain. It can be hard on baby to experience pain without understanding why and they need you to help comfort them during this difficult time. The symptoms of teething can range greatly from baby to baby. However, there are some generalized symptoms of teething that almost every baby goes through. This is about the same time that babies start putting more things in their mouth. The pain in their mouths make them look for relief by chewing on anything they can get their hands on. Now its even more important than ever to check for choking hazards. Unfortunately, the symptoms of teething can appear weeks before their teeth ever erupt from their gums. Usually, you can tell a tooth is about to emerge a couple days ahead of time by seeing a small white bump just under the gum line. Once you see this sign, a new tooth is just around the corner. 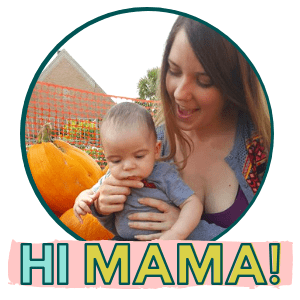 So how can a parent help their baby through discomfort and pain of teething? The first thing you must do is for yourself. Realize that the teething is nothing to stress out about. It’s a natural process that every baby must go through. They will be fine once it passes. One of my favorite quotes on teething is from Rosemary Gladstar. The teething process is natural, like many of the other cycles we’ll go through in a lifetime. 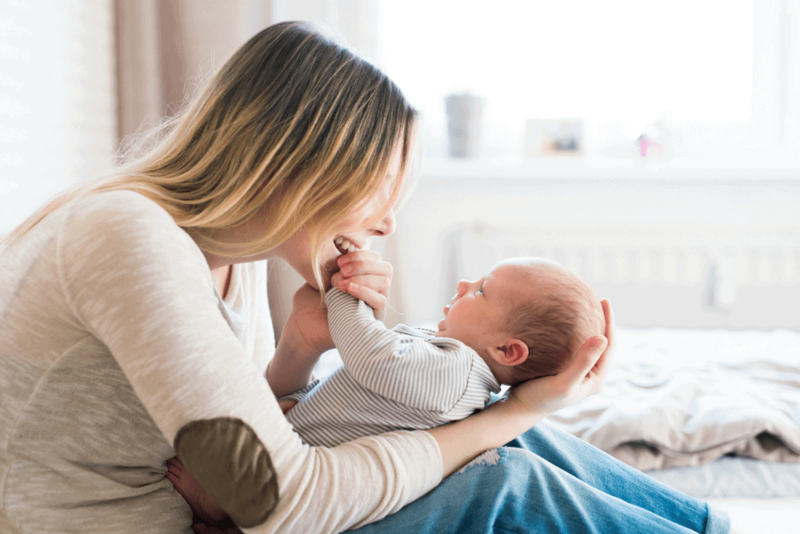 It marks the child’s first experience of “biting in,” her ability to deal with the stress of life, to call on her own powers as well as the support of family and friends. Remind yourself of this when your baby is dealing with teething pain, it will help you prevent mental frustration and exhaustion during this difficult time. 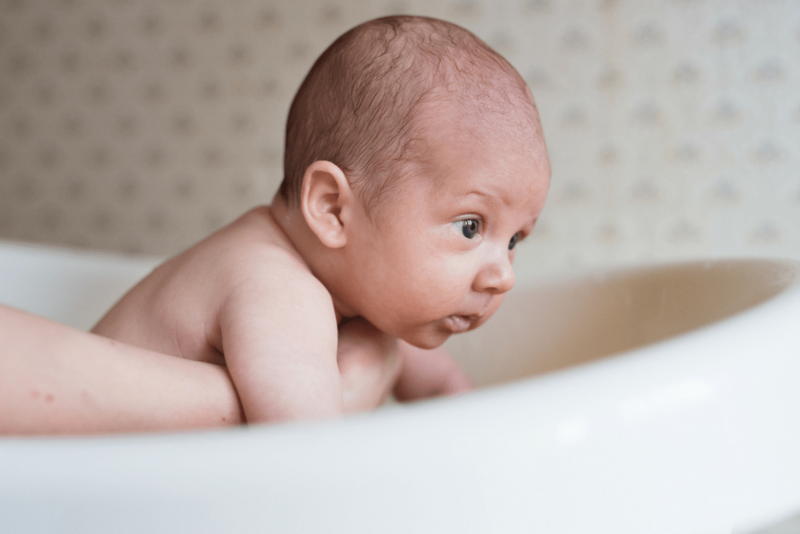 When your baby is fussy from teething pain, taking them into a well-ventilated area may help. Getting fresh air, and a little bit of sunlight can help boost their mood and help relieve pain. You can also provide milk on a regular basis. The proteins in milk ensure the gums remain elastic, moist, and relaxed. 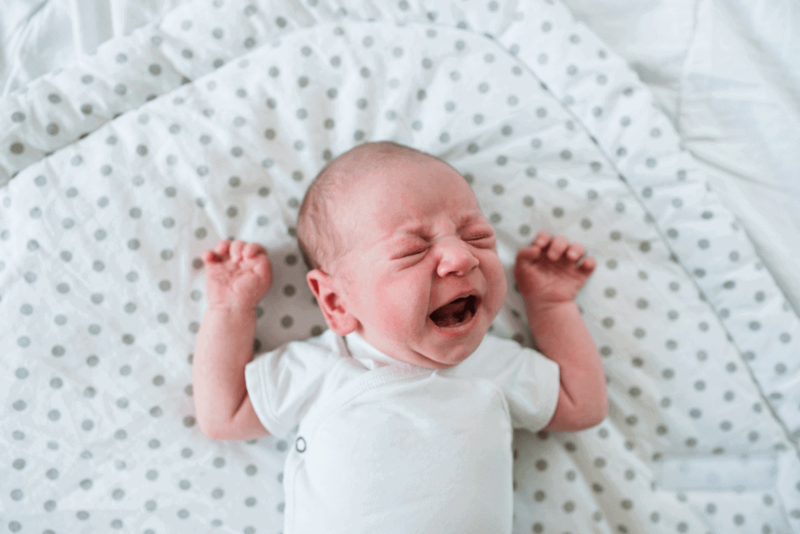 Even though you want to provide milk on a regular basis, you do not want to overdo it, too much milk can cause a heaviness in the tummy, causing the development of a second problem that will make your baby fussier. From the start of teething pain, you will want to use natural remedies to help your baby with the pain. Over-the-counter pain relief gel can harden the gums, making it more difficult for teeth to push through, increasing pain. It’s also unsure of how safe these over the counter teething gels really are. Many doctors are now even advising parents to not use these. Using things like a flat teething ring or milk pops to help with the pain are good alternatives. I have found that taking a cup of chilled chamomile tea and dipping a washcloth in it for baby to chew on can do wonders for their pain and nerves. You can also rub the gums with your finger to help the tooth push its way through. Unfortunately, many parents take baby teeth for granted because babies get a second set of teeth later in life. However, your child will not start getting another set of teeth until they are around six-years-old. From the moment the first tooth beings to erupt, good dental hygiene should begin. Parents should immediately be concerned about tooth decay. There are a number of toothpastes on the market that are baby friendly and fluoride free, as fluoride has been linked to possible dangers. To care for baby’s teeth, you can either use a baby finger toothbrush or simply a wet washcloth and gently rub it along their teeth and gums twice a day with the baby-friendly toothpaste. 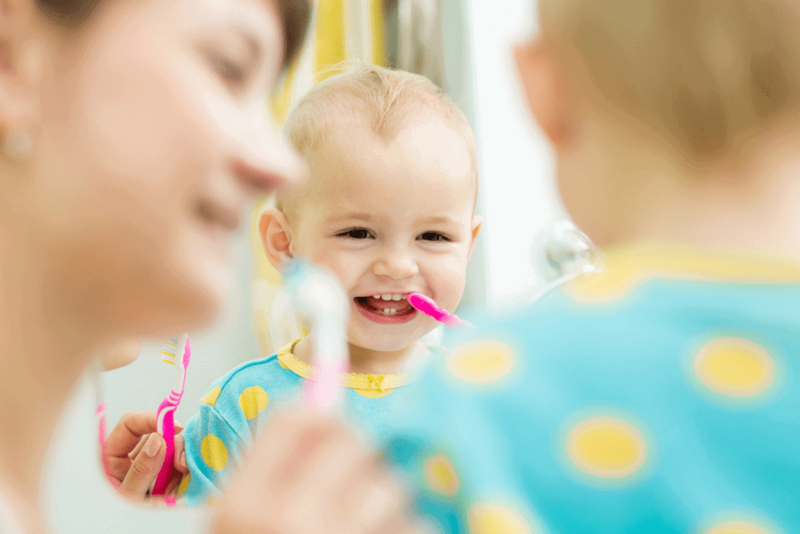 Taking care of your baby’s teeth is not as big of a challenge as teaching them lifelong oral hygiene habits. The first set of teeth allows them the experience of learning to chew their food properly, and how to care for their teeth the right way. By instilling good oral hygiene, you are setting your child up for a lifetime of being healthy and strong. Making it a part of your daily routine early and tieing in fun and games to tooth brushing can help keep your child motivated to keep up good oral hygiene habits.